Take Back the Light is an effective and environmentally sound approach for lights buyers at any volume to have spent lights recycled to the highest possible standards. We tally, track, and verify every light that is recycled through Take Back the Light, and offer participants complimentary promotional collateral. Buyers/Users of lamps register with Take Back the Light free of charge. Distributors and contractors are charged a modest fee based on gross sales. Lighting suppliers and distributors arrange pick-up of spent lights from their buyers, and are responsible for their safe transport to an approved processing facility. Take Back the Light endorses the Supplier Responsible model because it can utilize existing distribution channels to reduce unnecessary transportation, and demonstrates responsible end-of-life management. Once a minimum number of spent lights are collected, registered buyers complete a Request for Service form online. A Take Back the Light-approved processor schedules pick-up and arranges transport, and spent lights are sent to a processing facility. Transport and processing costs are billed by the approved processor to the buyer, and cost depends on amount of lights and distance travelled. Consolidation sites are ideal for organizations that don’t have a relationship with a registered program supplier, such as small quantity generators, or are located in rural areas. Lights are sent to a consolidation site, and when a minimum load is achieved lights are shipped to to a Take Back the Light-approved processor for recycling. 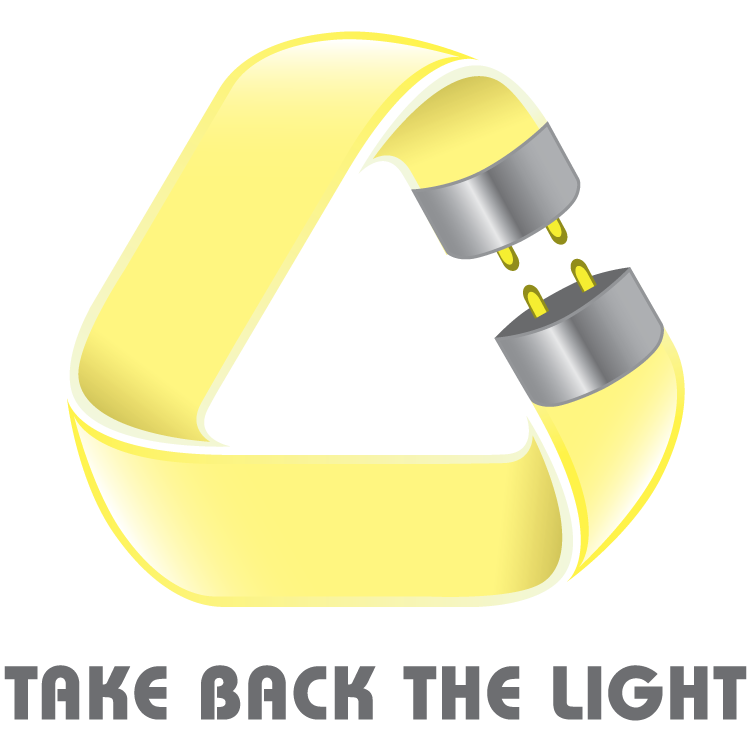 Buyers/Users of lamps register with Take Back the Light free of charge.